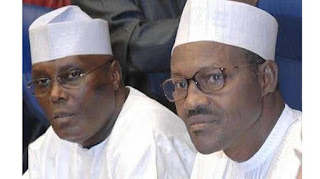 After the emergence of a former Vice President, Atiku Abubakar, as the presidential candidate of the Peoples Democratic Party, the pan-Yoruba socio-political organisation, Afenifere, said it would still have to sit down and decide who it would support for the presidential election. The group, which had earlier hosted Atiku in Akure, the Ondo State capital, had promised to support any presidential candidate that believes in the restructuring of the country. Speaking with our correspondent in Akure on Sunday on the development, the Secretary General of the Afenifere, Bashorun Sehinde Arogbofa, described Atiku as a politician who had paid his dues in Nigeria politics. He, however, noted that the opposition must come together to defeat the ruling party in the forthcoming presidential election. He said, “Honestly, when we compare Atiku with others, you will see him as somebody who has paid his dues. Among politicians and our former rulers, Atiku has made his marks. “Before the PDP primaries, Atiku came to us in Afenifere and promised us that he was going to restructure the country, and we have already said that anybody who wants to restructure with all seriousness, such a person will be our candidate. “Now that he is in, Afenifere will still decide. He has beaten all the other aspirants and now he is the candidate. “Afenifere observed the landslide victory he has over others: he scored well over half of the delegates’ votes, leaving the remnants to the other aspirants. “We hope that if the opposition wants to win through the South-West, South-South, South-East, the Middle Belt and those political groups that are progressives in idea, they will all come together under the CUPP to adopt somebody to face APC. “I think this is the time, if they mean business,” Arogbofa said.